When Donna ISD Superintendent Dr. Hafedh Azaiez took the helm as DISD’s leader, he accepted the challenge of pursuing a plan to move the district to the next level. At the top of his list was launching an Early College High School, a move that required support from the Texas Education Agency (TEA). Six months into his role, his goal is now a reality. In February, TEA approved DISD’s stand-alone Early College High School proposal, paving the way for more advanced courses to become available for DISD students. DISD will work with South Texas College to implement dual credit courses at the designated campus. Upon graduation from school, a student could earn up to 60 college hours. The hours may also be directed toward obtaining a bachelor’s degree. 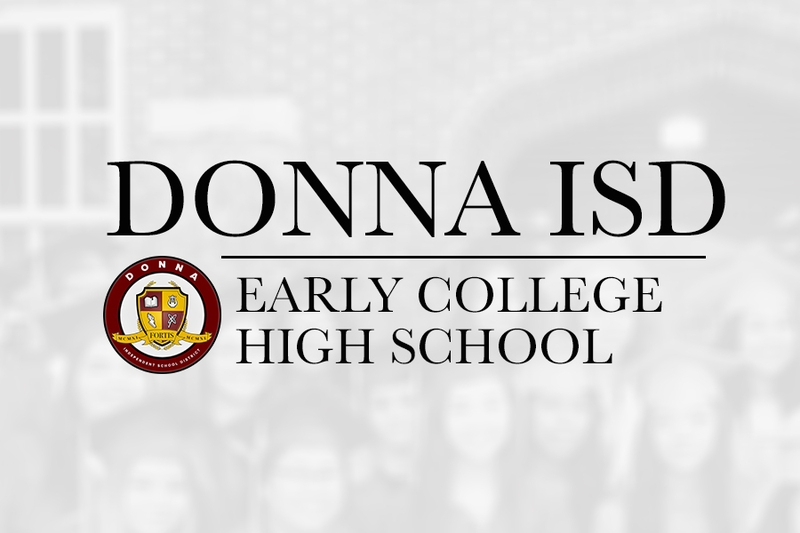 “The great thing about the Early College High School concept is that our students will not have to pay to earn college credit hours in Donna,” Dr. Azaiez said. Dr. Azaiez said Early College High School is intended to focus on students least likely to attend college by providing them the opportunity to obtain an associate degree while in high school. Planning for the new Early College High School will take place during the 2019-2020 school year with doors scheduled to open in 2020-2021. The district plans to begin with freshmen and then add more student to become a full-fledged high school over the course of four year. Veteran’s Middle School seventh grader Alexa Cardenas Polanco will be a freshman when the Early College High School opens. She is excited and intends to take advantage of this new opportunity.